PRP has growth factors for regeneration and also calls in stem cells. healing and has been shown to accelerate the process. This is important to athletes who experience tennis elbow or other injuries with tendon involvement. 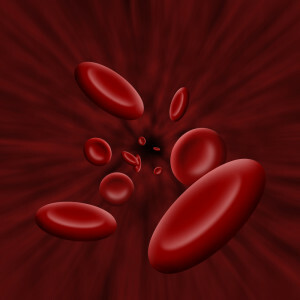 Blood contains plasma, red blood cells, white blood cells, and platelets. The platelets contain growth factors which are essential in healing injuries. In order to get a rich supply of PRP, blood is drawn from the patient. The vial of blood is placed in a device called the centrifuge where it is spun at a high velocity. The platelets will separate from the rest of the blood components and will be concentrated so that it is between 5-10 times greater than normal. This will be the PRP preparation that will be injected to the injured area. How does the PRP preparation work? PRP, with local anesthetic, will be carefully injected into the affected area where there is evidence of swelling. It usually takes several weeks before the patient starts to improve, whereas pain subsides. In the first couple of weeks, pain may even get worse before it gets better. What type of injuries can be treated with PRP? There are many injuries that can be treated with a PRP injection. Achilles tendonitis is a common injury that runners experience, as well as tennis players and other athletes. The heel cord in the foot can get twist or pulled, causing swelling and inflammation, causing it to be difficult to walk on. PRP will be helpful to address this by injecting it into the tissue. If the heel cord is torn where surgery is needed, PRP can be useful to speed up the healing as well. The PRP would be prepared in a different way by allowing it to be stitched into the torn tissues during the surgical procedure. Injuries such as tennis elbow, which is an injury of the tendons on the outside of the elbow, and jumper’s knee (inflammation of the tendon in the knee) are also treated with PRP injections. Tendon injuries respond best with these treatments though muscle and ligament injuries may be treated as well. Research continues to be done on the effectiveness of PRP for knee arthritis, fractures, muscle and ligament injuries, and surgical interventions. A factor that seems to impact the efficacy of platelet rich plasma treatment is the area of the body being treated. The overall health of the patient with the injury is also a consideration. The injury heals best if it is treated as early as possible, so a chronic injury that has been developing over time will not respond as favorably. The Board Certified Las Vegas pain management doctors at Nevada Pain offer cutting edge treatments such as Platelet Rich Plasma injections. With over 50 insurances accepted at Nevada Pain, call for an appointment at (702) 323-0553.